Trade your a.m. routine for mornings in the spa, at the beach or by the pool. Whether you’re visiting Cancun, Riviera Maya, Negril or beyond, Karisma Hotels & Resorts offers the perfect tropical oasis for complete rejuvenation. Delta Vacations gives you more ways to rack up miles, and earn toward your Medallion® Status. SkyMiles® Members earn 3,000 bonus miles per person, in addition to credited flight miles, with a flight and Karisma Hotels & Resorts package. 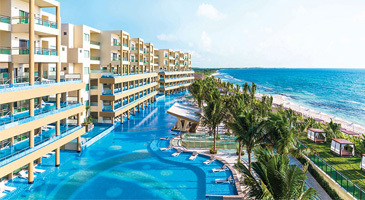 *Sample Pricing: This offer is available from hundreds of origin cities, but this price, which reflects the offer, is based on travel between Atlanta and Cancun, staying at the Azul Beach Resort Riviera Maya, by Karisma, in Riviera Maya. Price is per person, based on double occupancy and select Monday departures and Saturday returns, July 8 – 13, 2019, and is subject to change. Additional restrictions and baggage charges may apply. See Terms and Conditions for details. Designed for multi-generation travel, this resort boasts awe-inspiring ocean views, personalized service and premium gastronomy. Foster togetherness, from the kids playhouse to the blissful spa. The property is located close to the resort town of Puerto Morelos. Located in Bahia Petempich, this intimate property lies amid lush vegetation on a spectacular stretch of white-sand beach. 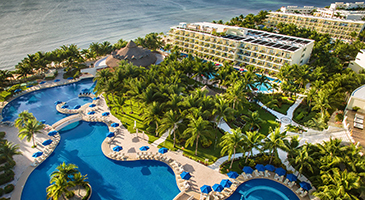 Intimately sized, the resort offers separate adults-only and family-friendly sections and a foodie’s paradise of restaurants. Also, enjoy specialized baby amenities and daily and nightly entertainment. Bask in the seclusion and romance at this luxurious, adults-only resort. The property offers picturesque casitas on the beach, complete with in-suite whirlpools. 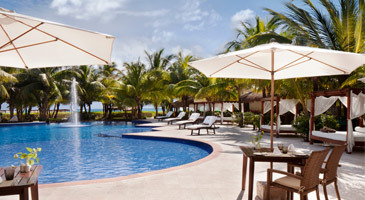 Savor delectable restaurants, delight in the popular couples massage classes, or splash in one of the sparkling pools. This boutique-style hotel decorates Maroma Beach, one of the best in the world. From the laid-back environment and gourmet cuisine to the infinity pool and ocean-view, swim-up suites — this property is perfect for active relaxation. Venture to this adults-only paradise for luxury and romance. Positioned along a secluded beach, it offers personal concierges, top-shelf spirits and vegetables harvested from the resort’s own 76,000-square-foot hydroponic greenhouse. Be amazed as you enter this property’s spectacular lobby, stylish suites and exciting restaurants and bars. Two distinct experiences in beachside luxury, all within one award-winning resort. 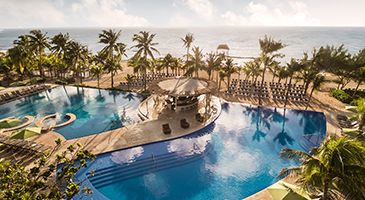 This resort features an expansive open-air Sky Terrace for weddings, one of the largest spas in Riviera Maya and one of the most beautiful beaches in Mexico. Leave cares behind for an all-suite, beachfront getaway. This unique hotel stretches along a secluded beach, and includes specialty restaurants, bustling bars, a kids club and all oceanfront suites. 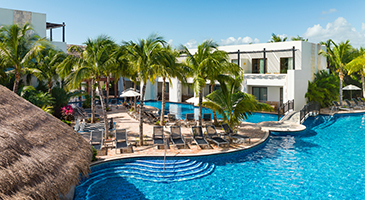 Located on the northern edge of Playa del Carmen, this fine resort caters to families with spacious, suite-style accommodations, a fun-filled kids club, large meandering pools and beachfront restaurants that cater to even the most discerning taste buds. 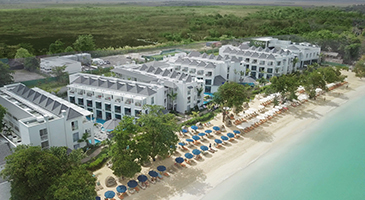 Located on world-famous Seven Mile Beach in Negril, this stylish, all-suite resort showers couples, families and friends with unmatched service, innovative cuisine, unlimited beach play and amazing sunsets. *Price is per person, based on double occupancy at Azul Beach Resort Riviera Maya, by Karisma, in Riviera Maya, between Atlanta and Cancun. Monday departures and Saturday returns via nonstop service on Delta and certain Delta codeshare partners, and is valid for specific travel dates July 8 – 13, 2019. Advance purchase requirements vary. Other travel days and dates and accommodations are available at other prices. May require travel on specific flights or times; blackout dates may apply. 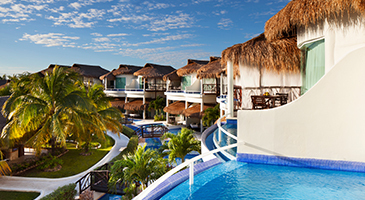 Purchase any Delta Vacations flight and Karisma Hotels & Resorts package from any Delta Vacations origin in the U.S. or Canada to Mexico or Jamaica, by April 30, 2019, for travel April 1 – December 31, 2019. 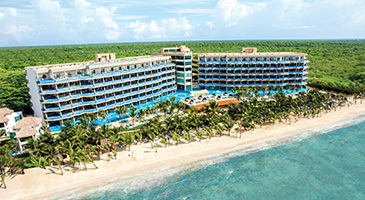 The hotel discount is based on the standard room charges of each of the participating hotels in Mexico and Jamaica. 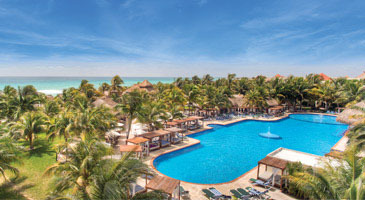 Participating hotels include: Mexico: Riviera Maya — Azul Beach Resort Riviera Cancun, by Karisma; Azul Beach Resort Riviera Maya, by Karisma; El Dorado Casitas Royale, a Spa Resort by Karisma; El Dorado Maroma, a Spa Resort by Karisma; El Dorado Royale, a Spa Resort by Karisma; El Dorado Seaside Suites, by Karisma; Generations Riviera Maya, by Karisma; The Fives Azul Beach Resort Playa del Carmen, by Karisma. Jamaica: Negril — Azul Beach Resort Negril, by Karisma. Discount is $50 off bookings of $3,000-$4,999; $150 off bookings of $5,000-$6,999; and $250 off bookings of $7,000 or more. Enter promotional code DV32758 in the Promo Code/eCertificate box on the Booking page. At time of reservation, you must refer to promotional code DV32758.